The Barnes family has been in the oil pump business for over 40 years, initially opening their doors in 1966. While working at Howard Racing Cams, dealing with many drag and oval racing teams, founder Al Barnes first came to realize the need for an improved, more efficient, oiling system. Barnes began product development by first scrutinizing other widely accepted oil pumps, pinpointing and logging their weaknesses versus strengths. Based on his research, Barnes then started developing his own oil pump, featuring a host of innovative improvements. 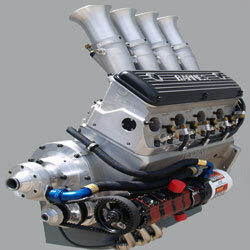 With the help and support of his wife Barbara and son John, working out of their Redondo Beach, California garage, he designed his first unique dry sump oil pump for the 392 Chrysler, followed closely by a pump for the small block Chevy. These pumps quickly earned Barnes a reputation for ingenuity and attention to detail - it's a reputation that continues to grow and be more imbedded in the racing community each year. "Back in the early '80's, we were the first oil pump manufacturer to incorporate machined O-ring grooves in all of our oil pump sections, that eliminated the need for silicone to seal the individual sections, like most other pumps," says Barnes. "We were also the first to incorporate T-slots into the surface plates that relives trapped oil between the gears, reducing pump pulsation and excess wear. We are the first to use a steel drive gear along with a bronze idler gear, thereby reducing the wear between similar materials (i.e. gear-to-gear and idler gear to idler shaft). One of the key factors in Barnes Systems ability to produce top-quality components is their machining equipment. "We have enough CNC equipment to produce all of our oil pump parts in-house," adds Barnes. "Also, our inspection equipment is top-of-the-line." Asked why their oil systems continue to experience such a high-level of success in racing, John Barnes had this to say, "Pride in the products that we build. Everyone at Barnes Systems is dedicated to holding all our components to the extremely high standards that my father Al set long ago. Our customers know they will always get the best quality equipment and materials, because we build every pump as if it were going onto one of our own engines. We also continue to listen to the needs of our customers, and we constantly keep on top of engine advances. During their 40 plus years of being in business they have been associated with many of the most influential people in all of racing, in the process notching up a very impressive list of titles. In one season alone, customers using their products won the Winston Cup Championship, the NHRA Pro-stock title, USAC Sprint car and Midget titles, the World of Outlaws title and the Chili Bowl National Race. Engine builders that they've worked with include Penske Engines, Gaerte Engines, Reher-Morrison, Don Ott, Gary Stanton, Illmor Engineering, Esslinger Engineering, Mercury Racing, plus many others. "When our customers wanted to know which brand of oil filter we recommended, we decided to test some racing filters to see if there was a difference," says Barnes. 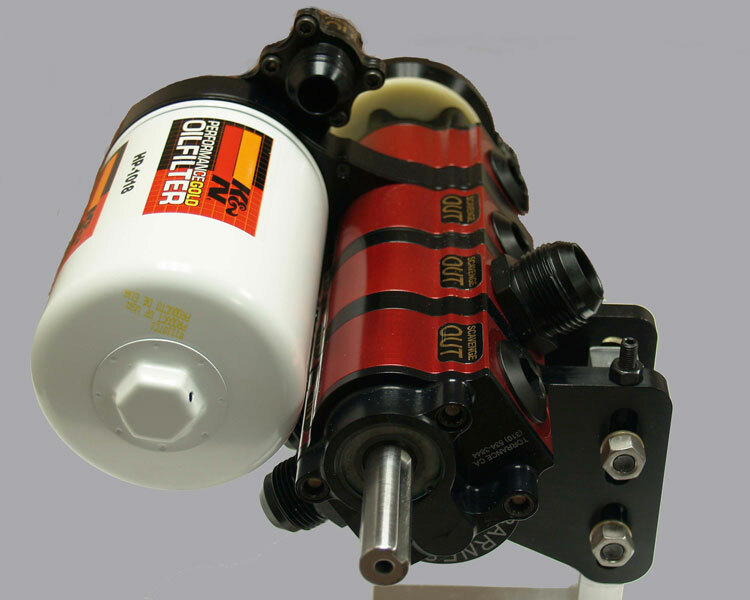 "We were very impressed with the K&N oil filter element and it's outstanding record for reliability and performance. 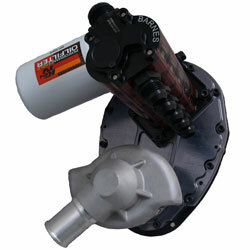 We knew it would also be a perfect fit for our new line of oil pumps with integrated oil filter. So now, if there is any application that requires a high-performance, high-flow oil filter - we only look in one place." Presently they are working on a whole new line of oil pumps, specifically geared towards those looking for the smallest, lightest and most efficient oil pumps available. Together with this new pump design; they incorporate some of their proven pump configurations, including those with integrated oil filter mounts. "We are all very excited to begin a new chapter between Barnes Systems Inc, and K&N Filters," concludes Barnes.